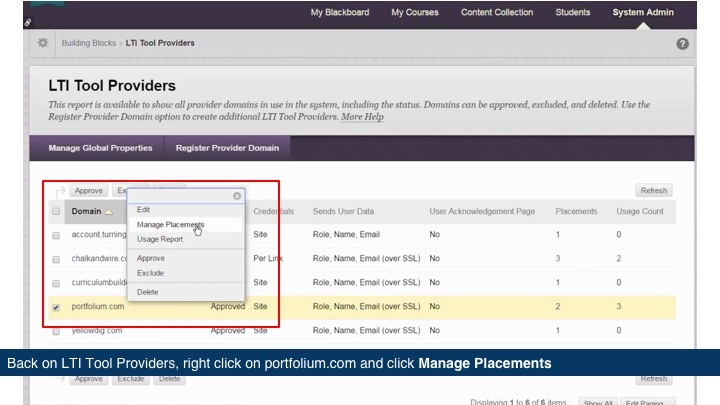 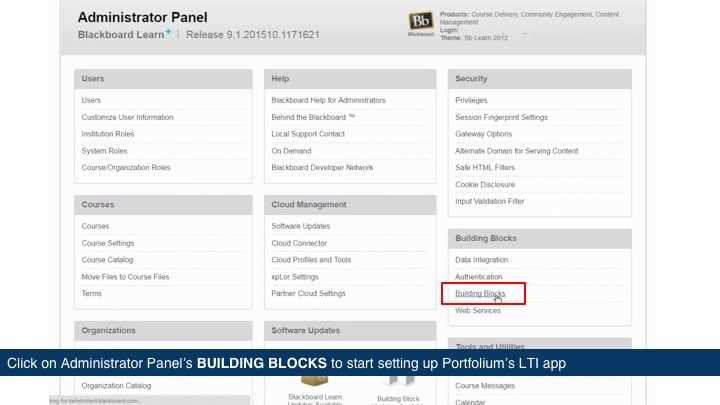 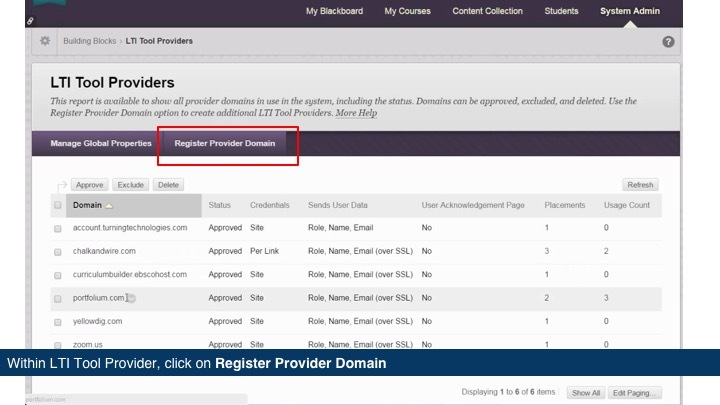 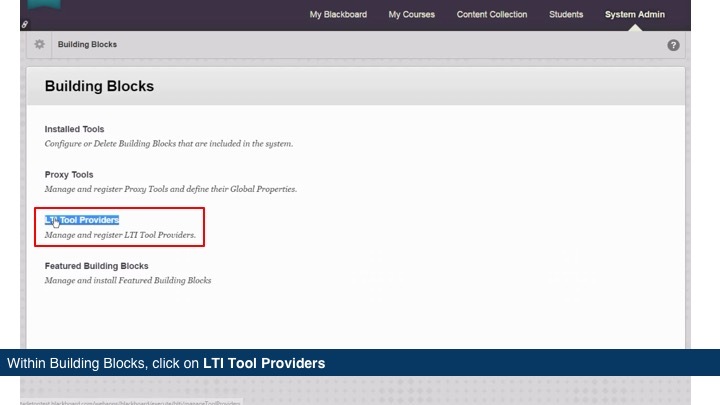 Within Administrator Panel, click onBuilding Blocks to start setting up Portfolium's LTI app. 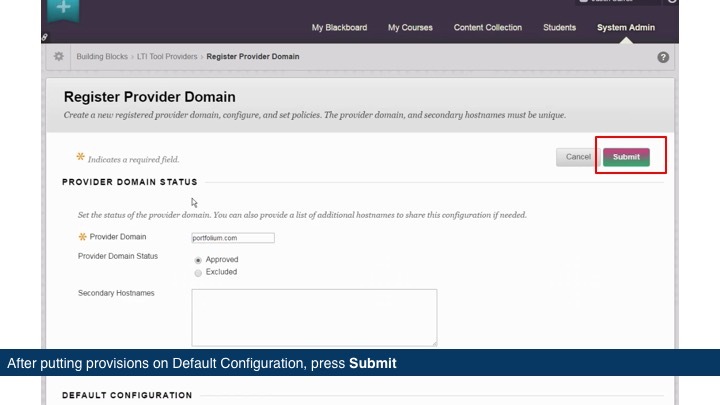 Set Default Configuration as Set globally. 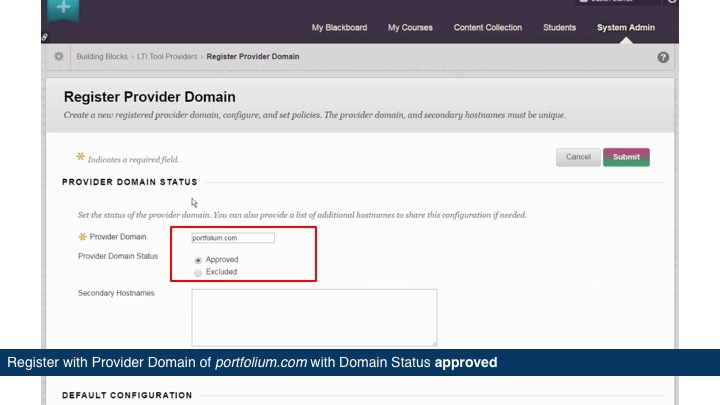 It is recommended that data is sent only over SSL. 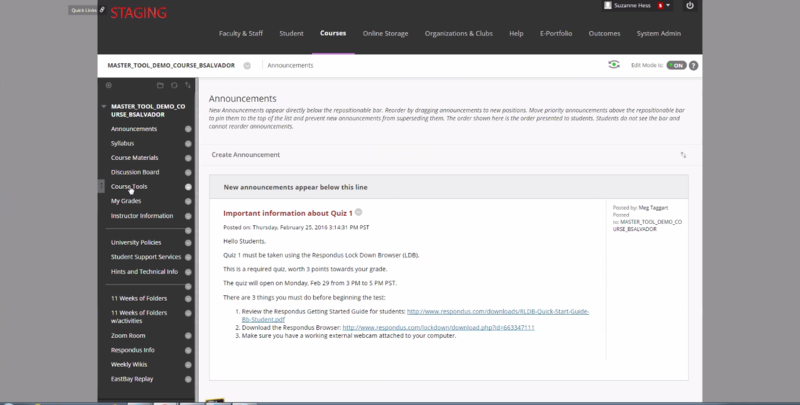 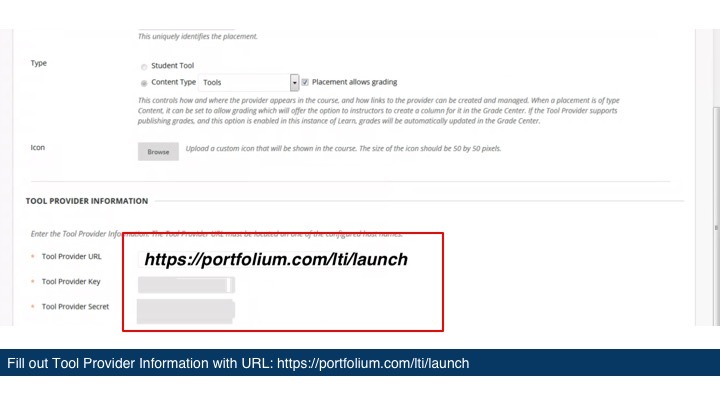 STEP 6: Create Placement as "Student Tool"
Portfolium will now be listed under "Course Tools"